Near to the center of Cortina d'Ampezzo. We booked the apartment for seven people and it was perfect for our group. The apartment was very clean and well maintained and Carlo was great to deal with. The apartment is only fifteen minutes walk from the centre of Cortina with good parking in a nice, peaceful area with fantastic views. We would definitely recommend this apartment and would have no hesitation in booking again on our next trip to the Dolomites. we realy appreciate when our guest feel all right in the attic of Cortina cause it is very nice and panoramic. We stayed in this apartment for the Cortina-Dobbiaco race this spring. The views were spectacular, and the apartment was roomy. The apartment is very well located. It is a short walk (10-15) minutes, along a bicycle path, to everything in the center of Cortina. The apartment itself is very well-equipped and can accommodate a larger group. We were in 4, and there were many empty beds. There is a great living room with a fabulous view of the hills for relaxing after skiing or hiking. The kitchen and eat-in area allow for enjoying meals at home. The location is tranquil, while being close to all the amenities of Cortina: shopping, restaurants, impianti/ resorts, etc. The owners are very friendly and helpful. We would stay there again. We realy appreciate when our guests enjoy the calm and the roominess of the house. We rented the flat for half term 2015 and found it very charming and comfortable. Albeit not huge, the flat has very convenient accommodation for a large family or two families, a well sized kitchen and great views over the mountains! the location is also very convenient talking only a 10-15 mins walk to the town centre. Owners very friendly and accommodating! Hi friends , as you might know , Cortina has just been awarded the organization of the World Winter Cup 2021. This is great news , even for the necessary renewal of some sports ( swimming , bob , curling ... ) , as well as we renew something in our house . It was a great stay, the house was very clean, comfortable and lovingly furnished. Landlord is super nice, helpful and always approachable. The house is equipped with everything you need. We were an international group of 7 people, we did not miss anything. the absolute and priceless highlight is and remains the unrestricted panoramic view of the Dolomites, which can be experienced directly from the balcony or the window fronts. Thank you for the nice holidays. We felt very comfortable. Great house, fantastic views and very nice hosts! Es war ein toller Aufenthalt, das Haus sehr sauber , gemütlich und liebevoll eingerichtet. Vermieter ist super nett, hilfsbereit und jederzeit ansprechbar. Das Haus ist mit allem ausgestattet was man braucht. Wir waren eine internationale Truppe aus 7 Personen , uns hat nichts gefehlt. Das absolute und unbezahlbare Highlight ist und bleibt der uneingeschränkte Panoramablick auf die Dolomiten, den direkt von dem Balkon oder den Fensterfronten aus erleben können. Vielen Dank für die schönen Urlaubstage. Wir haben uns sehr Wohl gefühlt. Tolles Haus , traumhafter Ausblick und sehr netter Gastgeber! It's always a pleasure to host respectful guests ! 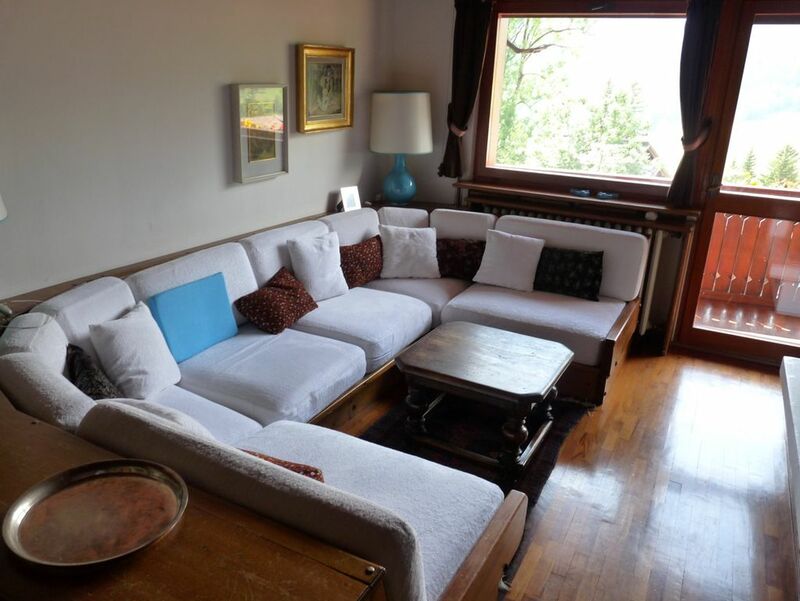 This is a comfortable and well-equipped apartment, 10 mins walk from the centre of Cortina. It is an ideal place to stay for a small group and a good base from which to explore the area. The owners were very welcoming (we arrived very late at night! ), helpful and friendly. We would definitely stay there again. Casa accogliente per famiglie e gruppi amanti della montagna tranquilla e del relax. Terrazza con stupendo panorama sulle Dolomiti e possibilità di prendere il sole. "Casa molto bella, ben arredata, spaziosa, comoda per raggiungere il centro." Follow the direction to Hotel Cristallo and turn on Via Crepedel. Local cuisine: Baita Fraina, Fattoria Menegutto. Wellness center: Centro Benessere Hotel Cristallo.